Pay slips: This option allows you to view pay slips for the selected pay period, with an option of showing all pay slips, or manual notifications. 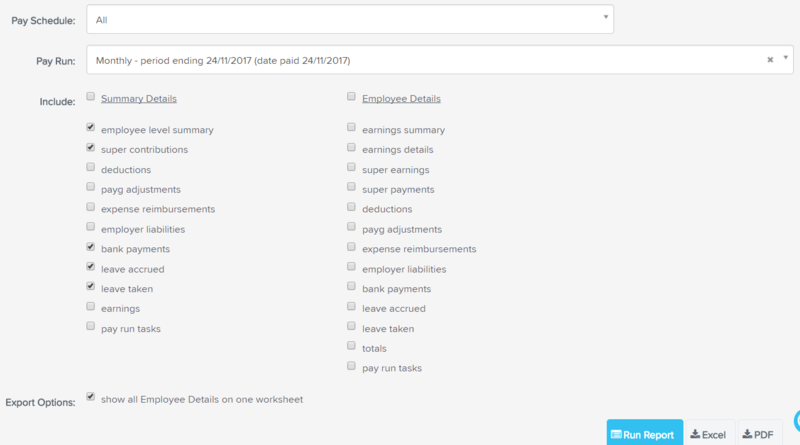 Audit Report: Shows the details you select for the chosen pay run. Download ABA: If you have multiple sets of ABA details, you will need to choose from the drop down box which ones you want to download. By default, the details that were last used for the pay schedule will be preselected.